PIM-SM (Sparse Mode) with BSR (BootStrap Router) | CCIE, the beginning! I am going to post separated labs about these topics in the next few days. I need to get my hands on three low cost PIM-SM routers! ANy ideas? Thank you very much for your feedback, I appreciate it. I reviewed the animation and included a second Candidate BSR to show the election process. Thanks Eager, glad to help. 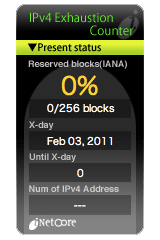 Pingback: IPv6 multicast over IPv6 IPSec VTI | CCIE, the beginning!